Posted April 17th, 2019 by Lillian Price & filed under Dental Care. Posted April 11th, 2019 by & filed under Dental Care. Posted March 29th, 2019 by Lillian Price & filed under Dental Care. Setting an appointment to see a dentist regularly for preventative care is one of the best things you can do for every member of your family. Keeping your oral health maintained helps keep your entire body healthy. Posted March 13th, 2019 by Lillian Price & filed under Dental Care. 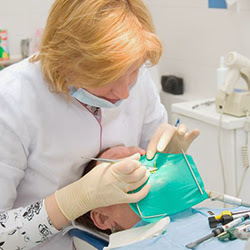 Cosmetic dentistry covers several treatments. Here are a few ways for you to pick the right dental care provider for family cosmetic dentistry in Knoxville TN. Posted January 22nd, 2019 by Lillian Price & filed under Dental Care. Posted January 9th, 2019 by Lillian Price & filed under Dental Care.